Peter Ivorson is an agent with the CIA. As we are introduced to this experienced operative, he is arriving in Laos in 1968, coming in from Vietnam. While his record in that Indochinese country was good and solid, his transfer was clearly an opportunity by his Chief of Station in Saigon to get over the Fear. That is what Ivorson calls it, the sudden numbing dread that causes his whole body to go cold and clammy and his heart to be seiged by a fist. He had heard of such a thing but never experienced it himself and would have frowned in annoyance if someone had suggested the possibility he would be a victim of it. Then several Viet Cong smashed into his apartment door in the dark early morning hours and the only thing that kept Ivorson alive was the shotgun he kept near his bed. "Frantic pumping of the action of the riot gun until the hammer clicked on empty" destroyed the intruders and kept Ivorson alive but the experience brought him the Fear. So as the first recorded adventure begins, we find Ivorson, for his own health and wellbeing, transfered to the Laosian capital with his "reputation intact" and a chance to "relax" and get his courage back. Mind you, this is the same rest stop where his predecessor was ambushed along a dark road and where he has no known friends or experience and where the Vietnamese Embassy is preparing their end of the upcoming Tet Offensive and its operatives are ready to kill again and again. And Langley is screaming for information from inside that same Embassy and it is suddenly Ivorson's job to get it. Relaxation is not going to happen. The second adventure takes the reader several years beyond the action of the first and several thousand miles east, this time to South America where Ivorson is Chief of Station. The problems are totally different. The situation is completely different. The action is just as intense. It is the height of the Vietnam War. 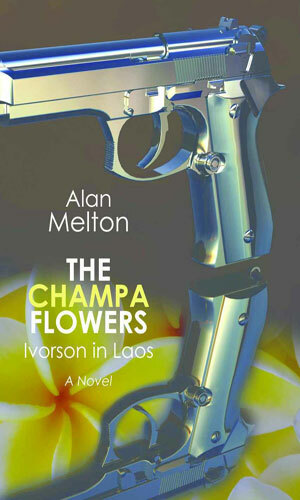 The CIA has ordered their operative in Laos, Peter Ivorson, to sneak into the North Vietnamese embassy to obtain their diplomatic code ciphers. An incredibly difficult assignment is made far harder because his nerves are dicey after someone tried to kill him and his USAID cover officer hates him and his new girl friend might be working for the other side. The year is 1980. The location is El Salvador. The CIA's Station Chief, Peter Ivorson, is trying to further the US goal of a civilian government to win the ongoing civil war. It is not looking so good. Nor is staying alive. Not to give too much away (which people always say before giving too much away), the first adventure of Ivorson was terrific for a couple of reasons, as you will find when you read it. One that was particularly interesting to me was the fact that he was actively involved in working with Laosians affiliated with the U.S. to set up a honey trap to snare a would-be informant in the Vietnamese embassy. 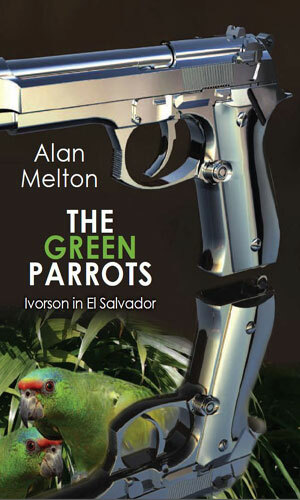 Always a good topic for a spy novel. But! He is also getting quite interested in a young woman in his own organization, not realizing that she is a honey trap being set for him. The writing on this sequence is so very good it is amazing. Ivorson is such a terrific agent that he sees the reasons for lots of people's actions and is completely blind to the snare awaiting him. Really, really good storytelling by the author. The move by the writer of Ivorson to several years later in another part of the world is a good idea as well. His time in Indochina was really over and he needed a change. I applauded the switch. I am not sure, considering 6 years has passed since the second adventure, whether there will be a third. If there is, I will be one of the buyers.